” Life is an act of consumption, Jupiter. To live is to consume and the human beings on your planet are merely a resource waiting to be converted into capital, and this entire enterprise is just a small part in a vast and beautiful machine defined by evolution, designed to a single purpose: to create profit.” quoted Balem Abrasax. The film of Jupiter Ascending is underrated. It was directed by the Watchoski’s. It is truly visually stunning, a masterpiece of film making. The down side is that the story was rushed to fill time. If given more time the story could have been flushed out even more. The score of the film however is another matter all together. 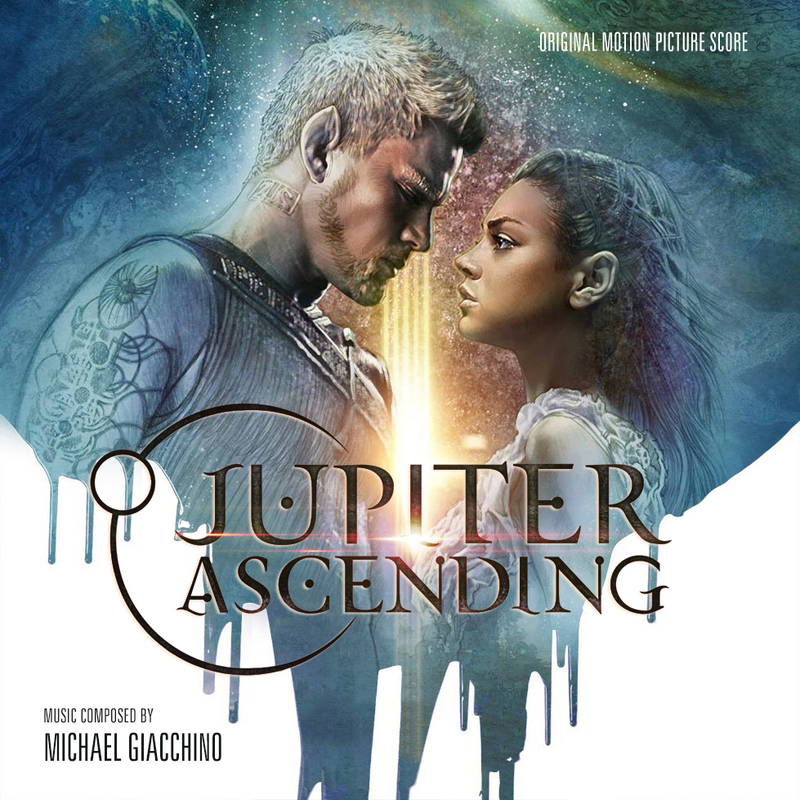 Jupiter Ascending was composed by Michael Giacchino and he formed it into the space opera that it was meant to be. Even if the story suffered, the soundtrack can be listened to on its own and enjoyed. I simply adore the love story of this film, it is of two star crossed characters who are brought together over annihilation of a species. Truly a tragic but excellent idea. Mila Kunis and Channing Tatum bring these two characters to life wonderfully. I will continue to enjoy the score for a much longer time than the film will be remembered. If you haven’t seen the film, watch it by yourself and immerse yourself in the world of Jupiter Ascending. There is a wonderful artbook made online for viewing the wonderful designs of this film. I recommend the score to anyone who is a lover of science fiction. It is epic in scale and is long enough to be two disc. Also here is the Spotify link. Thats all for now. See you for my next post, until then happy listening!